You love your baby. When it comes to them, only the best will do. 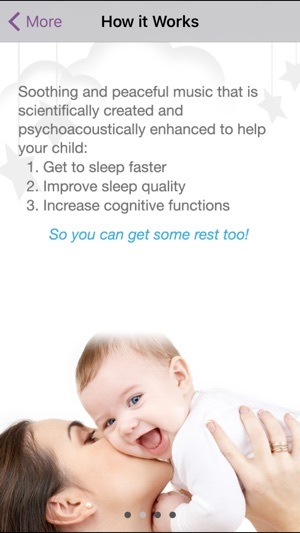 That’s why you choose Sleep Genius, the only baby sleep app leveraging decades of neurological research on the impact of music and sound in the development and sleep patterns of babies. 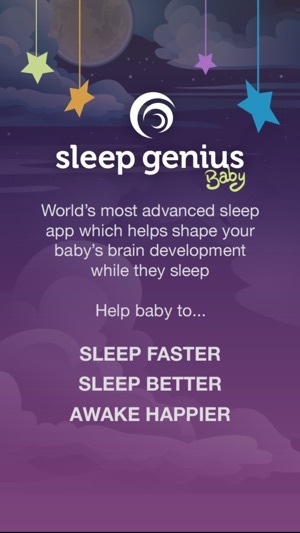 The calming effects of the Sleep Genius music program can help your baby sleep faster and sleep deeper which will make for a healthier and happier baby. And when baby is happy, mom is happy! 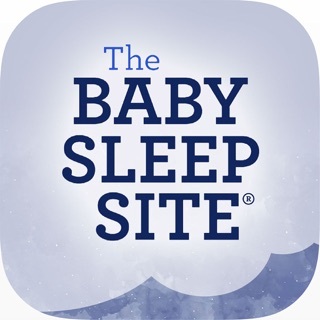 Why download a free app when for only a few dollars more, you can download an app created by the world’s leading experts to help your baby’s sleep and neurological development during this critical window of growth and advancement. BENEFITS TO BABY: Just like food nourishes a baby’s growing body, the elements of Sleep Genius music nourish a baby’s rapidly developing brain. 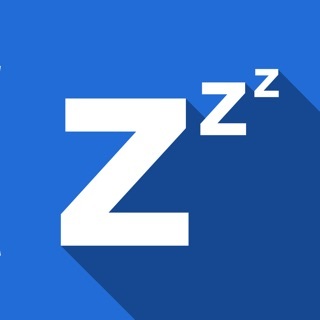 Sleep Genius Baby was created with natural calming, full-spectrum music that will play an important role in shaping many brain functions such as sleep, mood, emotion, language, and learning. 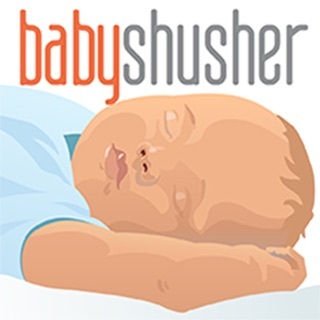 HOW WE ARE DIFFERENT: Music in most other baby sleep apps is not scientifically created or professionally produced and can raise baby’s stress levels resulting in irritation which can actually prohibit sleep. 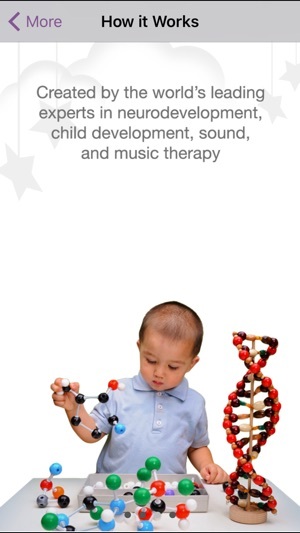 The music in Sleep Genius Baby has received national and international awards and endorsements from respected authorities on child development and children's media. 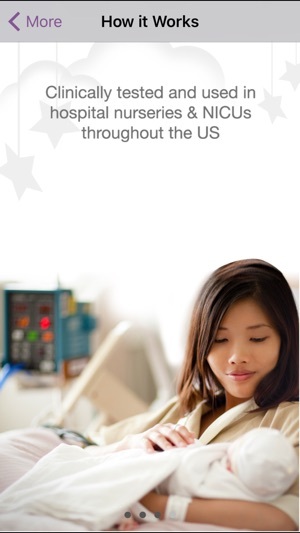 Awards and endorsements from the Sleep Genius music include; The Parents' Choice Award, National Coalition for Quality Children’s Media “KIDS FIRST!” endorsement, Dr. Toy's 10 Best Audio/Video winner and 100 Best Children's Products winner, The Dove Foundation, along with numerous professional and parent praises. 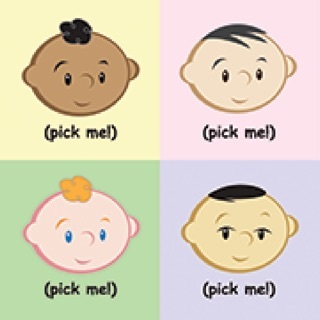 "Sleep Genius Baby is an essential ingredient for improving a baby's sleep, and promoting the health and development of their language, learning and music ability." "Sleep Genius has succeeded in making a universal parental wish come true - a wish for one's child to develop an inner sense of calm, as well as relaxed alertness, in guiding the child's magical years. These melodies are delightful and joyous to listen to (I think for all ages) and empower the child at such an early age with the inner ability to further develop in mind, body and soul…What a marvelous treasure! Thank you." 2. NAP TIME: Help your baby to settle down quickly and experience soothing and rejuvenating naps. 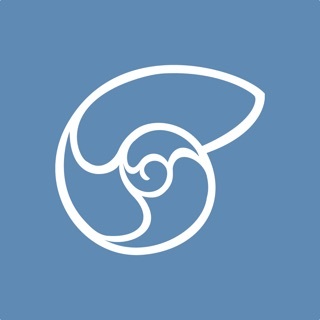 Email info@sleepgenius.com with questions, feedback or for support. We are always excited to hear from you. Minor update to app graphics. Best $2 I've ever spent. I have a 2 & 4 year old. Nap time and bed time were agonizing! Everyone jumping out of bed and crying to not have to sleep. But they obviously needed sleep. Now it is so peaceful. I turn the app on while we're doing our wind down routine and they both lay in there beds and fall asleep so fast! My 2 year old nods off within 5-10 minutes and the 4 year old is 15-30. Plus, my 2 year old has severe eczema and would wake frequently in the night and we are down to one early morning waking and that's it. I haven't slept this good in four years! The only complaint I have is I wish you could program it more like an alarm and not a timer. The timer is great because you can say my kids need 12 hours of sleep and set it for that, but it would be nice if I could just say wake my kids by whatever time I choose. Anyway, still love it! 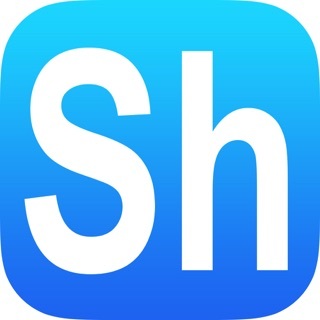 I got this app after personally having success with the adult version. First night of my husband being out of town and me getting an 18 month old, 3 year old and 5 year old down I was done! The little one wouldn't go to sleep, he missed daddy and was pretty sick. After two hours of trying on and off he was asleep within 9 minutes! 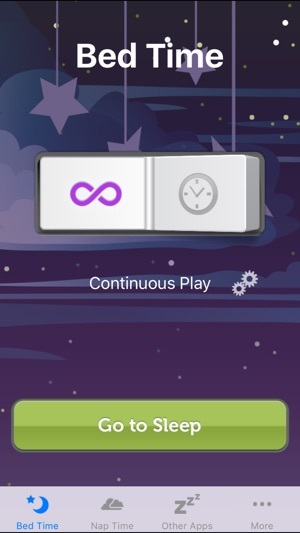 Night two of no daddy, even sicker, followed the app's instructions and played for 15 minutes before bedtime. This time he fell asleep within 10 minutes of trying with just snuggling as he fell asleep. He was babbling and smiling until he fell asleep. Seriously best $1.99 I've spent since having children. Haven't tried with the older two, but they both stretched out and relaxed while it was playing. Magic! My 7 year old daughter has had nighttime anxiety and terrors for years. We have tried all kinds of things to help her sleep well, but she still usually ended up in our bed too afraid to go back to her own. I got this app in desperation. It took several weeks for her to be accustomed to the music and see results. But bedtime is no longer a problem and all three girls sharing the room now don't want to go to sleep without the app, they can tell such a difference. I would give this 5 stars, but didn't because although it says it will work on iPads it won't load on my iPad Air and won't even show up in the iPad Air App Store. I would like to be able to use this in multiple rooms if I could just get it to work on my iPad.